In a small bowl mix powdered sugar and cinnamon until well blended, set aside. 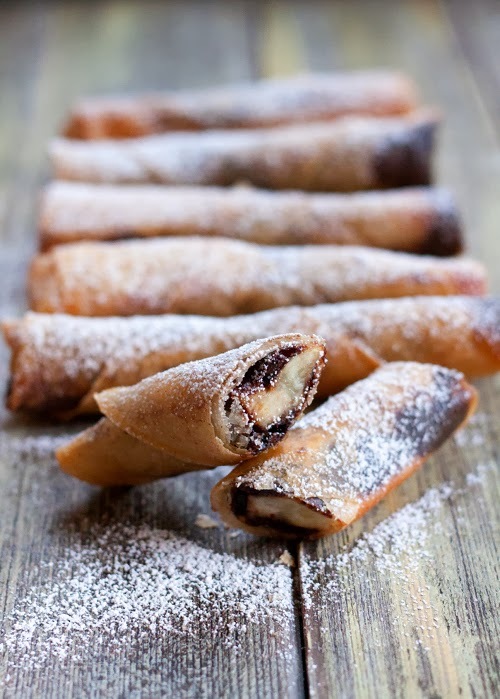 Lay one sheet of egg roll wrapper, and spread about a teaspoon of chocolate about 2 inches from one corner of the wrapper. 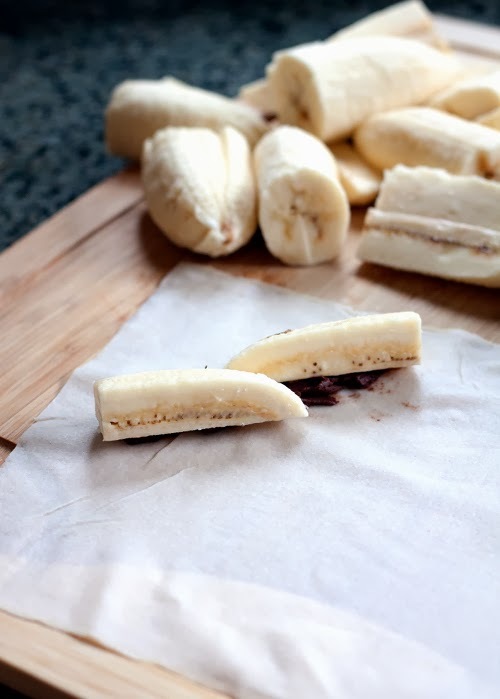 Fold the corner over the banana and start rolling until it reaches the middle. Tuck in left and right corners and continue rolling. 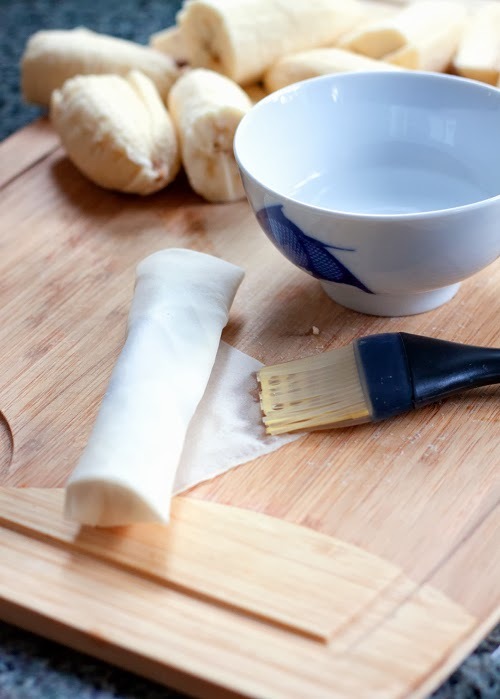 Brush the last corner with some water and seal the egg rolls. 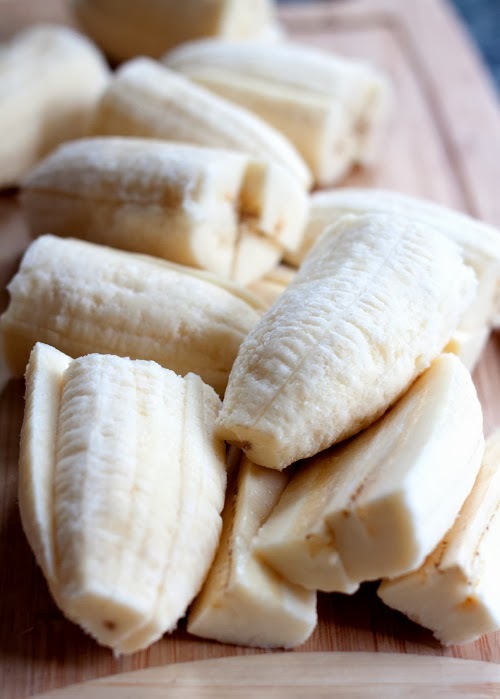 Repeat the process with the remaining ingredients. wow this looks fantastic! Thanks for sharing! 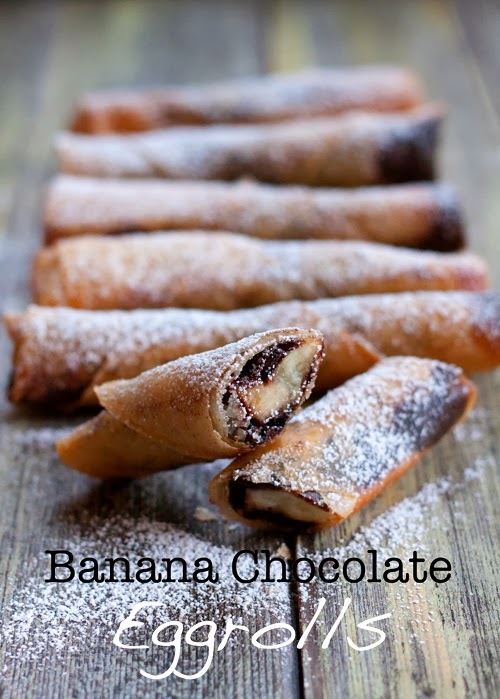 these remind me of turon which I love. yum! Silly me, I am not very familiar with Turon at all, I had to look it up. What a sweet coincidence, I guess. 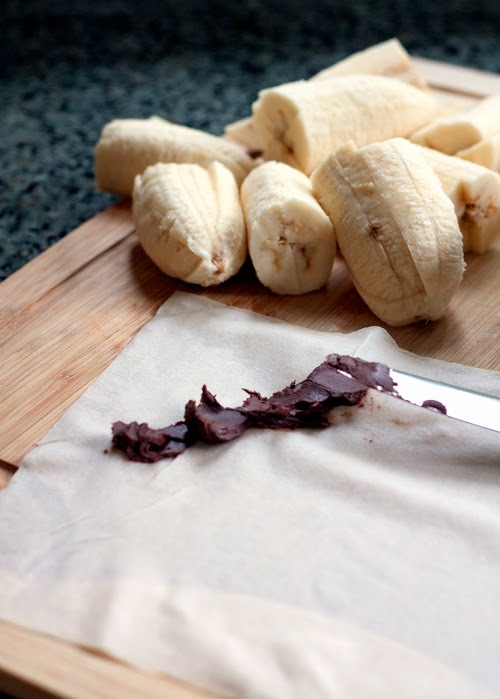 Might work very well with brown sugar instead of chocolate. do you think it would work to bake these rather than fry? thanks!! Your photograph and step by step pictorials simply earned a WOW factor! 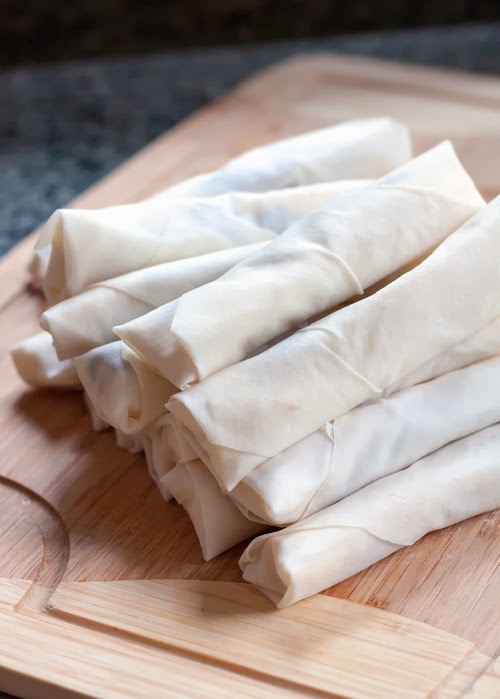 Could you use phyllo dough instead of eggroll wrappers? I'm sure you can. 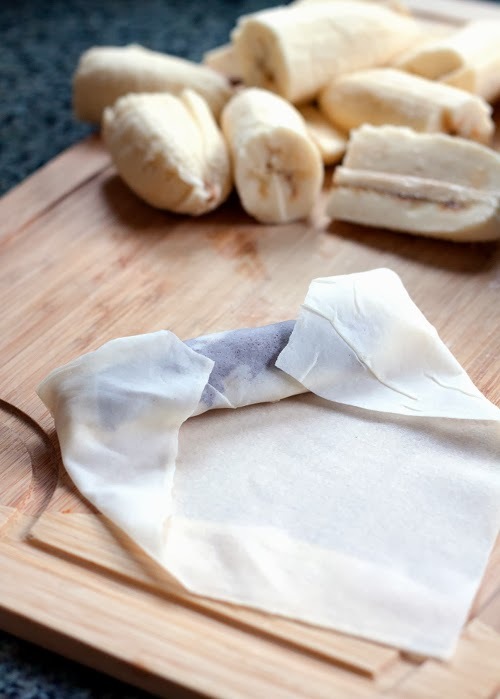 Although I am not advising you on deep frying the phyllo dough, because they're so delicate. Baking the egg rolls in 375 degree oven might work better, I think. Do you think I would be able to prepare them ahead of time and then just fry them when ready to serve? These look very yummy. I have been craving egg rolls. I will have to try them this weekend.